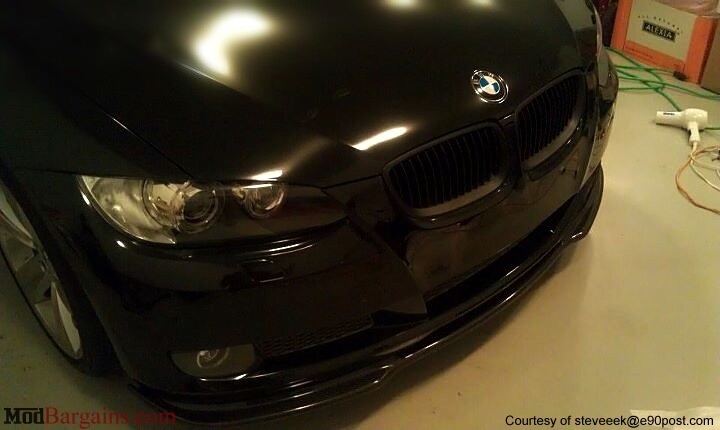 HM Style Front Lip for BMW E92. 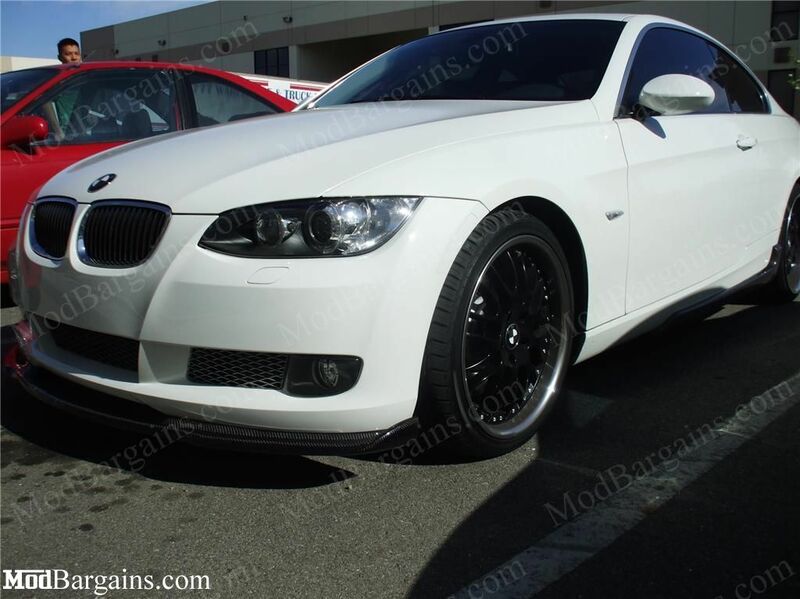 Give your 3 series a more aggressive appearance and improved stance with a Carbon Fiber HM Style Front Lip. With the addition of a carbon fiber lip your car will appear lower to the ground, greatly improving the overall look and aggressiveness of your car. The lip can either be painted making for a sleek addition to your E92, or it can be installed without painting to add a more aggressive 2-tone look. I woke up today and decided I wanted to get a Hamann lip so I hit up Alan and surely enough they had it in stock! Not only did they have it in stock but at a great price. Most places take your order and it gets shipped out from somewhere else but fortunately ModBargains carries most of their merchandise in stock from what it seems. This is awesome especially for us locals who can't stand and don't have patience to wait for shipping. I figured ModBargains is like the Costco of Aftermarket BMW parts. But anyways, the customer service was great. Honestly, ModBargains probably has some of the best customer service out of the vendors on e90post. But anyways I had a easy transaction and strongly recommend to choose ModBargains for your parts because in the end you'll have a piece of mind knowing that they are always there for their customers and aren't around just to make a quick buck off you. Thanks again Alan! 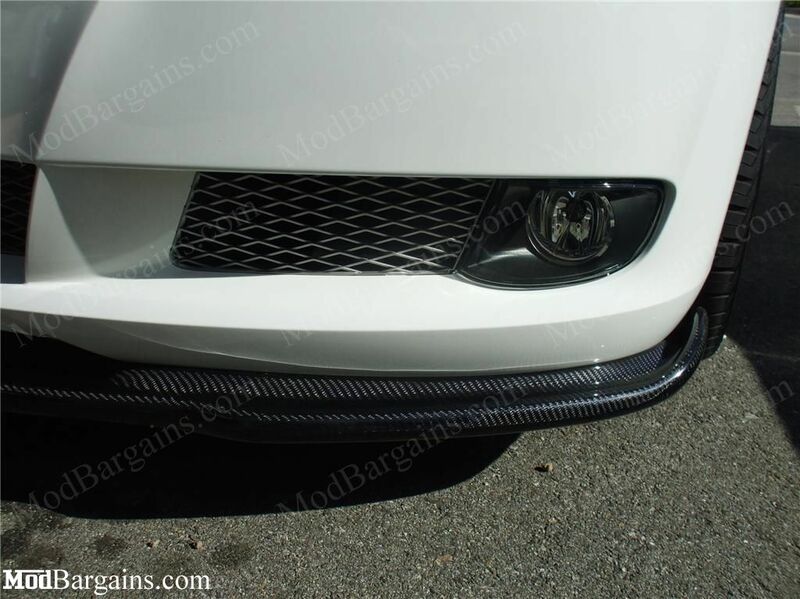 The Carbon Fiber HM Style Front Lip is 100% REAL carbon fiber. 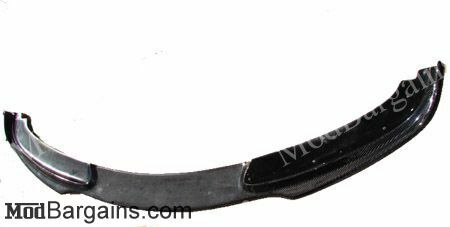 The lip simply installs right under your E90's stock bumper, using pre-drilled holes in the lip to attach to your bumper.